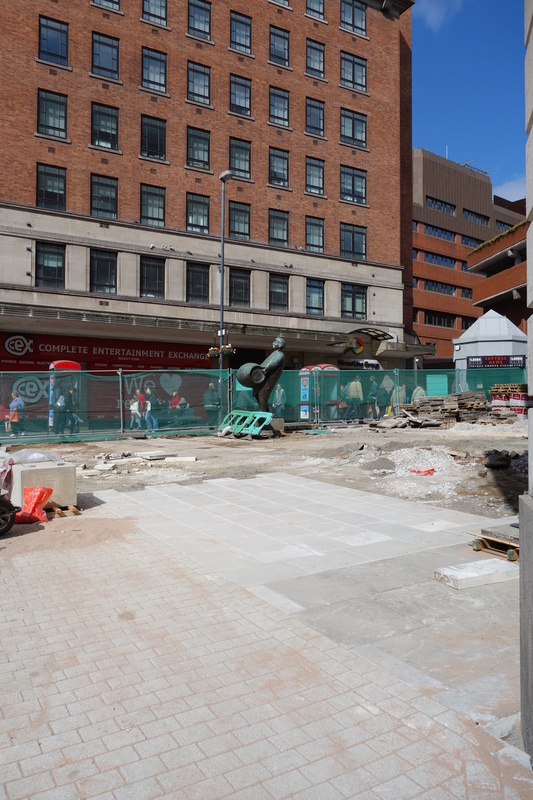 This week some pictures from Leeds, where the old Tetley’s site came as something of a surprise. 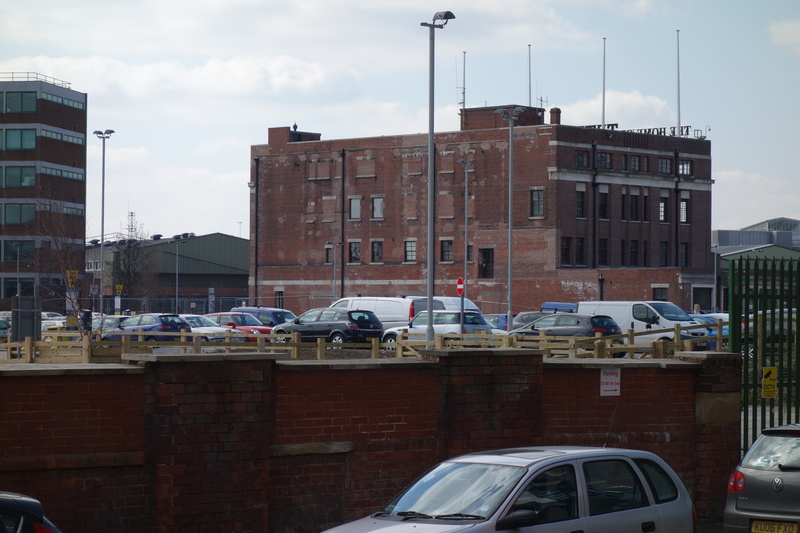 It is so difficult keeping an eye on what’s happening with site redevelopments when they are not on your doorstep, and I’d read that the older part of Tetley’s, including the original brewhouse, was being kept under a scheme to use it as a data centre. 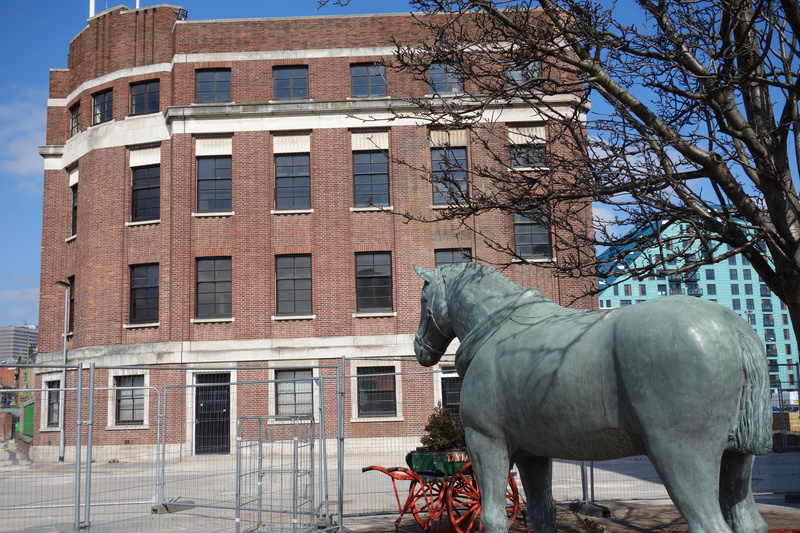 It has been put about that nothing of the George Corson brewhouse remained, but that’s not the case, a fair chunk of the 1864-74 brewhouse was extant, including some amazing cellars – which may still exist, under what I now see is a car park. There has been almost no fuss in the papers about the demolition of the brewhouse, which I think must have happened pretty sharpish after the brewery closed in 2011. The art deco office block is being retained and converted to a contemporary arts centre, so that’s good. 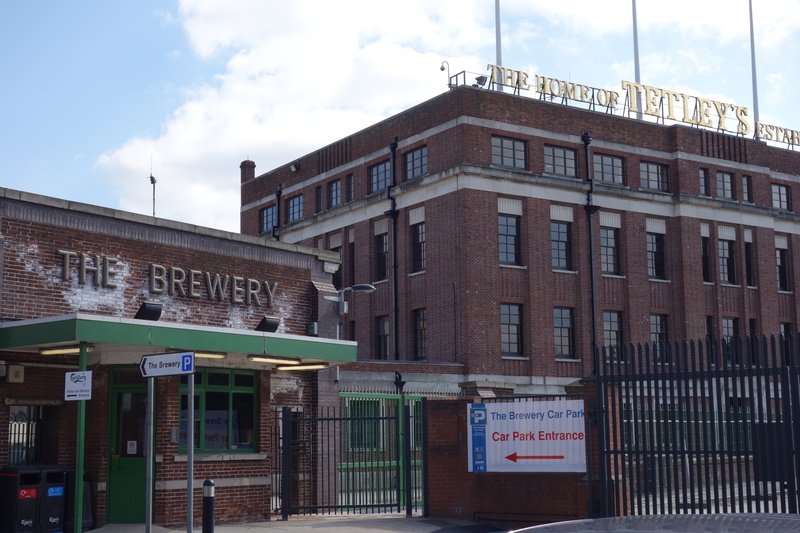 But why pull down the brewhouse, which could have been a huge historical asset for Leeds? Anyone unconvinced should visit Dorchester, where most of the Eldridge Pope Brewery is being re-used, including the huge ‘Victorian’ (it’s not, but it looks like it – time is all in the mind) brewhouse. In the end probably it is all about money, as the £3 car park fees look to be rolling in nicely. One to file under the heading of missed opportunities, which I’m sure the city will come to regret (have to say of course that I don’t know the whole story). Another disappointment in Leeds was trying to take a pic of the Dortmund Drayman statue – what could go wrong, I thought – but it turned out to be another scaffolding moment! back at the book, it is captions time and I am now on number 97 out of 316 – onward……..